Buck Stevens joined the PHH team in 1998, shortly after completing his career with Delta Air Lines. Buck joined Delta in 1970. During his 28-year career he served as line check airman, proficiency check airman, aircrew program designee (APD), senior instructor on the DC-9, MD-82, and MD-88 aircraft. He retired on the B-767/B-757 aircraft as a line pilot/check airman in 1998. Buck joined the U.S. Army in 1963 and flew a variety of aircraft, as well as serving as flight instructor on the Grumman OV-1 Mohawk, the aircraft he flew during his tour of duty in Vietnam. He was released from active duty with the rank of Major in 1970. 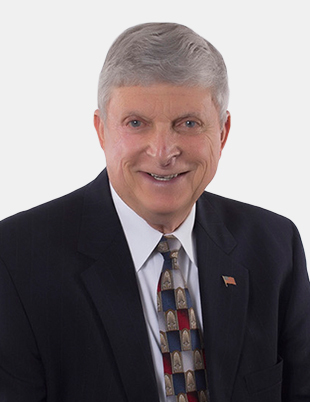 Buck received a Bachelor of Science degree in Business Administration from Auburn University in 1962.